Home » The Jazz Spectrum's 2019 Julien Award Winner! 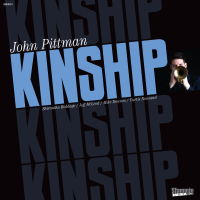 CJSF 90.1 FM and The Jazz Spectrum are pleased to announce that trumpeter John Pittman is the winner of the 2019 Julian Award of Excellence for Emerging Canadian Jazz Artists for his album "Kinship". The runner up is drummer Robert Diack for his album "Lost Villages". Congratulations to John and Robert for creating excellent music! Peter Prentice hosts The Jazz Spectrum each Sunday morning from 8-9 AM. The show is rebroadcast Wednesdays from 6-7 PM.